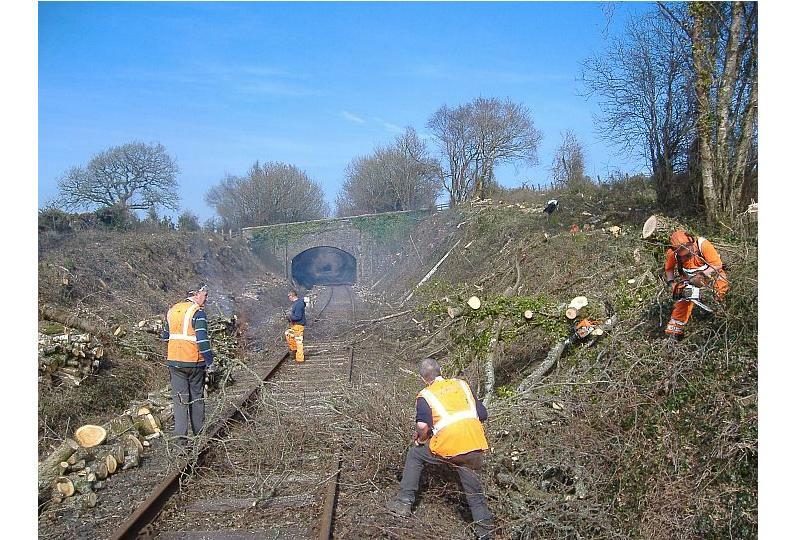 Every Tuesday, the Dartmoor Railway's track gang of Alan Cocker and Andy Webb gets together with a group of DRSA volunteers and heads down the line to work on the lineside vegetation. The regular volunteers are Sue Baxter, Andy Turner and John and Peter Wills. 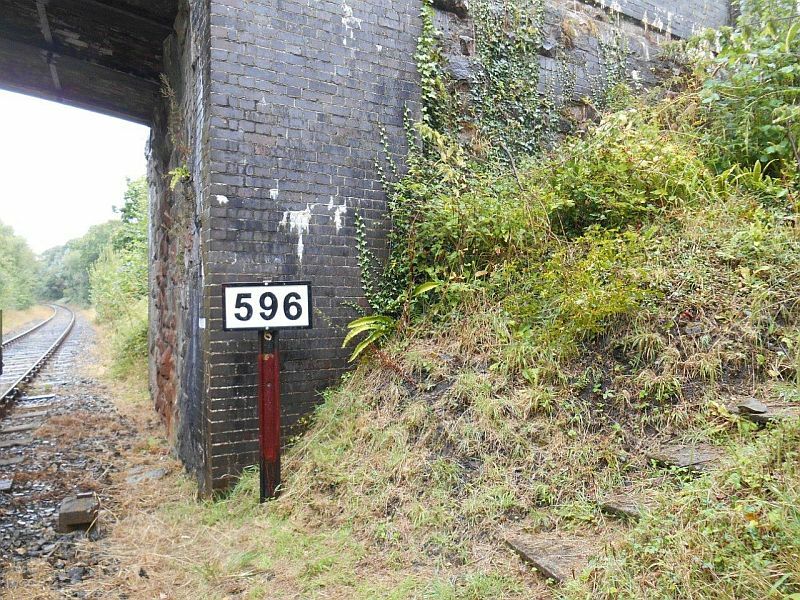 It's a big railway, so there's always plenty to do, and the group would welcome more volunteers, whether regular or occasional. If there is sufficient interest, we may start a Saturday gang as well. 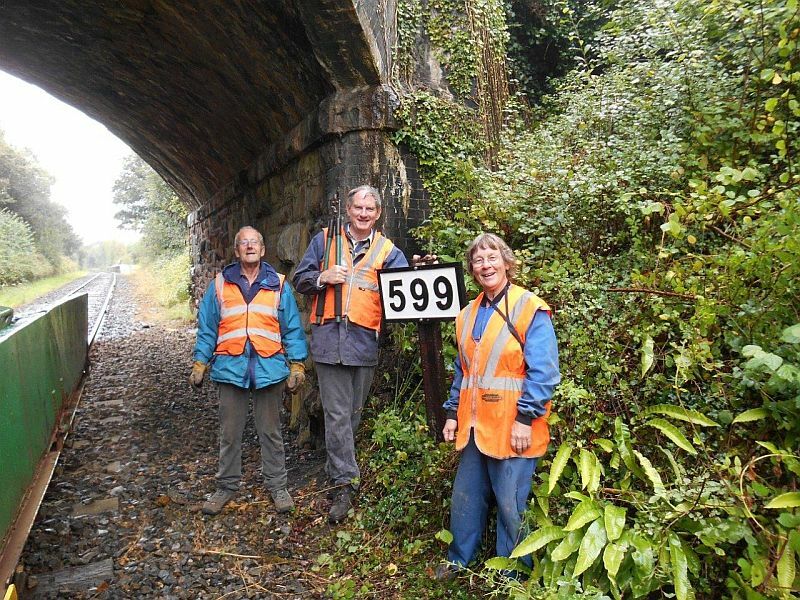 If you're interested in worthwhile, outdoor activity in convivial company, send an email to volunteering@dartmoor-railway-sa.org, contact the DRSA Volunteer Coordinator Geoffrey Horner (01363 82383), or just buttonhole one of the group members if you see them. Participants must be DRSA members. Andy Turner with some of bridge plate 589A. The rest must be somewhere in the undergrowth. 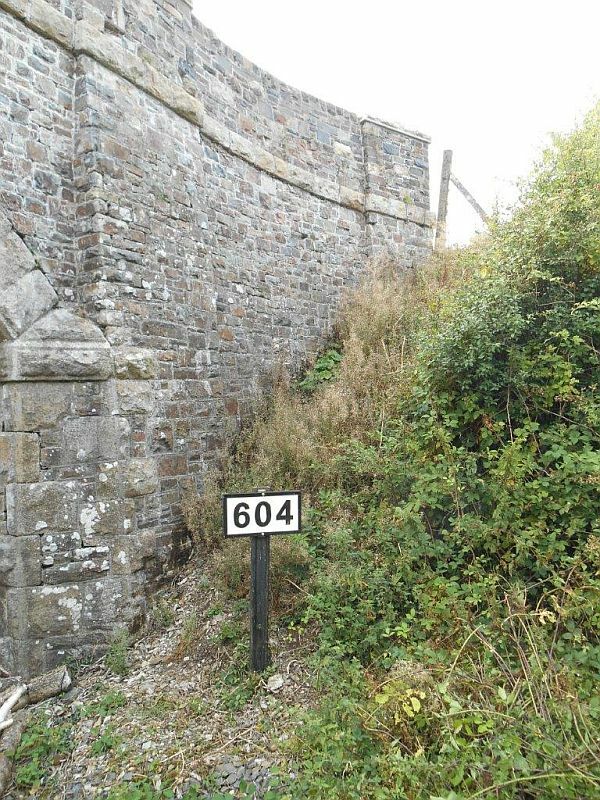 The location is the culvert near Crook Farm, at the start of the westward climb to Halse Summit, between Bow and North Tawton. The team in action at Greenland overbridge, east of Sampford Courtenay. On the way back from today's work site, the team stopped off to put up some of Simon Jeffery's excellent replica bridge plates. [Prospective thieves please note that, although the plates look wonderfully authentic, they are in fact made of wood, and have neither scrap nor collectors value]. 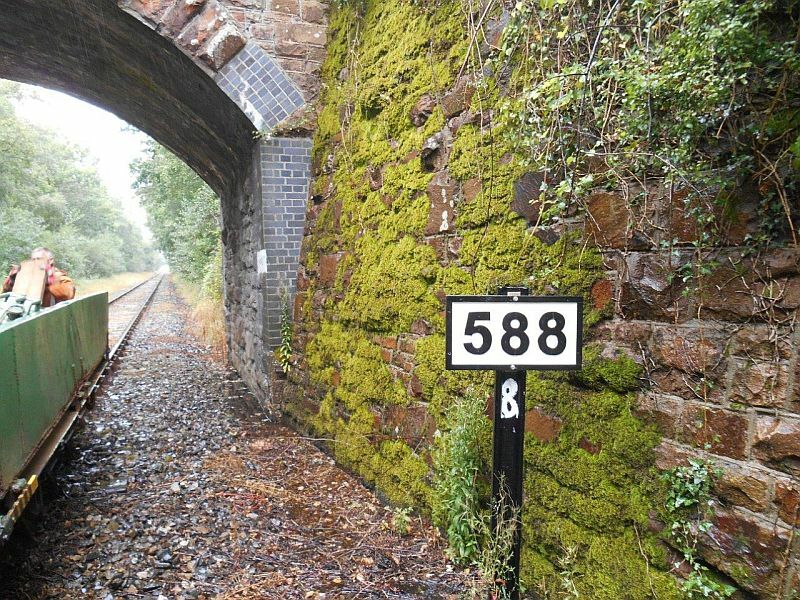 The lineside group is going up in the world, and now has its own train, hauled by 08937 (or D4167 to those of us of a certain age). It was deployed for the first time on July 1st. Funny how the team seemed to acquire extra members when there was a train involved .. The lineside group's train with Mill Hill overbridge in the background, just before the Network Rail boundary. Quite a lot of vegetation to get stuck into. Work starting on Broad Nymet Farm underbridge. Broad Nymet Farm underbridge, afterwards. The stone needed to be exposed so that the parapet could be re-pointed. Andy Turner putting the finishing touches to the parapet of Broad Nymet Farm Underbridge 587, virtually invisible at the start of the day. Nearing complete clearance of the west side of Lydcott Bridge/Cutting, about half a mile west of Sampford Courtenay. L to r Andy Turner, Andy Webb, Peter Wills, Alan Cocker. 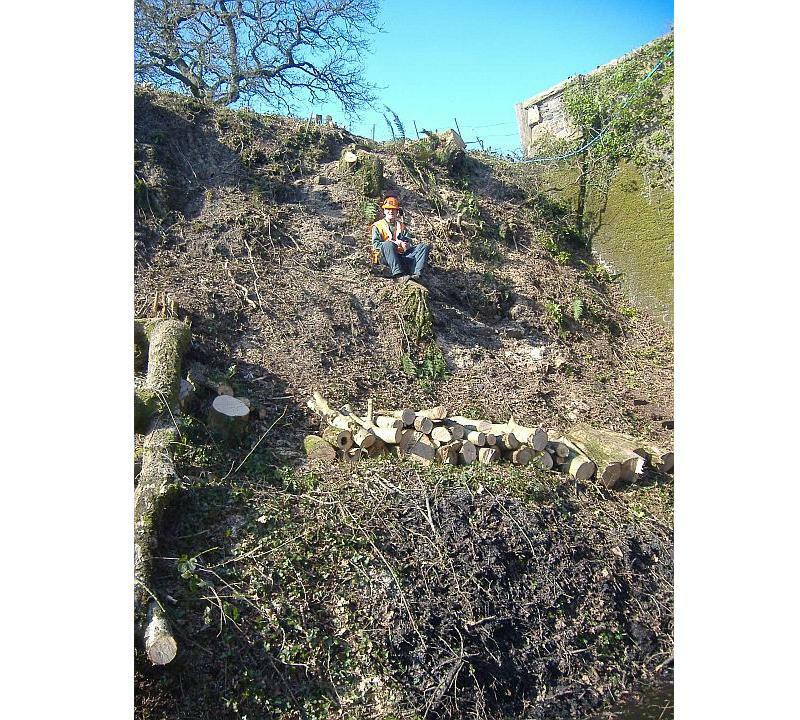 John Wills impersonates a pixie sitting on one of Andy Webb's steps by Lydcott Bridge.